“What Should A Grammar Curriculum Look Like?” is part ten of a part-ten series about a practical approach to teaching grammar. You may want to begin with part one. What could a grammar curriculum mean for older students? Hopefully, it means their needs are met so they can analyze and apply language in their writing and reading. Hopefully, it means standards are met – not simply checked off a list, but understood. Hopefully, it means students approach life (college, training skills, workforce) after high school with a firm grasp of language. They should be able to express themselves in all areas of life. That’s a tall order, and why a grammar curriculum is necessary. What should it look like? In the previous nine posts of this grammar series, I’ve stressed that (like all aspects of teaching) teachers know their students. Teachers work with their students and see what their students need. A grammar curriculum shouldn’t be a textbook with some practice sentences. It should be much more. Be differentiated. This point stands out the most to me. I review the eight parts of speech and parts of a sentence with all groups. Why? Well, students don’t always remember them, and students need that foundation to work with more complex aspects. BUT, and this is huge, not all students need the same review. Some students get stuck on modifiers while others struggle to recognize linking verbs. Like all components of a class, different students need to study different areas. This means a grammar curriculum needs different levels of material, and a lot of practice tools. When reviewing grammar, I typically have different groups working simultaneously. It all is differentiated. Plus? Some students appreciate the straightforwardness a textbook brings. Others want to slide through a presentation multiple times, while others prefer taking notes on a flip book. They learn differently, and the perfect grammar curriculum will take that into account. Be age-appropriate. What message does it send to tweens and teens when we use elementary tools with them? It sets the wrong tone: they’re already behind, they should already know this, and this is ‘baby stuff.’ Images and layout matter.Furthermore, teachers encourage students to question everything, and older students have no problems doing so! My tip? Be ready to answer students. If students wonder why they are learning pronouns, explain that they need to have clear antecedents and that pronoun usage will be important when they write large (and confusing!) papers with gobs of research. For instance, every section in my grammar textbook has specific answers for when students ask, “why am I learning this? If grammar is an afterthought, a part of the curriculum thrown together, students will treat it as such. The grammar curriculum should be age-appropriate! Involve parents. This is a new incorporation in my grammar lessons, but I’ve found it is helping. Here is what happened. At the end of my grammar lessons, I include a “why am I learning this” section. I answered that question so many times, and I felt that it was a legitimate question, so I finally wrote out reasons for learning each section (see the picture above). One class period after discussing that section, a student said, “I’m going to tell my mom that. She always wonders why we do grammar.” Duh! Of course parents question grammar lessons. Many of them did not study grammar. Including parents in on the reasoning only helps!I wrote an easy blurb that teachers can include in a letter, newsletter, or email home about grammar lessons. The piece is free here. Be hands-on/ interactive. This includes interactive notebooks, but goes beyond that. Students can manipulate sentences, and they can do this in hands-on fashion. Students should build sentences (literally, word by word with manipulatives) and play with the information. a. Look like it is for older students. b. Explain the concept in some way. Sure, finding colorful pictures is easy. What if the images spoke to students – helped teach the meaning? Relate to life. English teachers excel at relating literature and writing to life. Heck, we can even tie poetry to real life! Honestly, do teachers habitually tie grammar to real life? I still remind myself to address language. Doing so may seem awkward at first, but it can be done. Advertisements (print, video, Internet), marketing tools (drink containers, cracker boxes), speeches, nonfiction, and (of course) literature all use language with purpose.An open discussion with students can be simple; ask students to explain why a certain action verb was used – why a short sentence was used. Relating grammar to life can involve the debate between written and spoken grammar. Students may think that language used in a different way would be more effective. Wonderful! 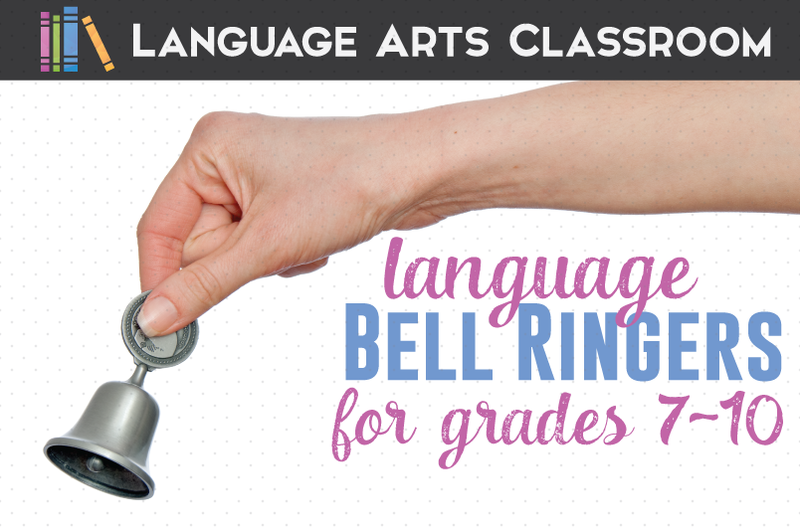 Discussions will help students see that language is part of their lives. Teachers should also have tools to help students relate grammar to their lives. What would a dream grammar curriculum mean for you to use with older students? These six traits are what I’m trying to achieve in my comprehensive grammar curriculum. Thanks for reading this grammar series! I hope that these ideas relate to you and build your grammar lessons with students. 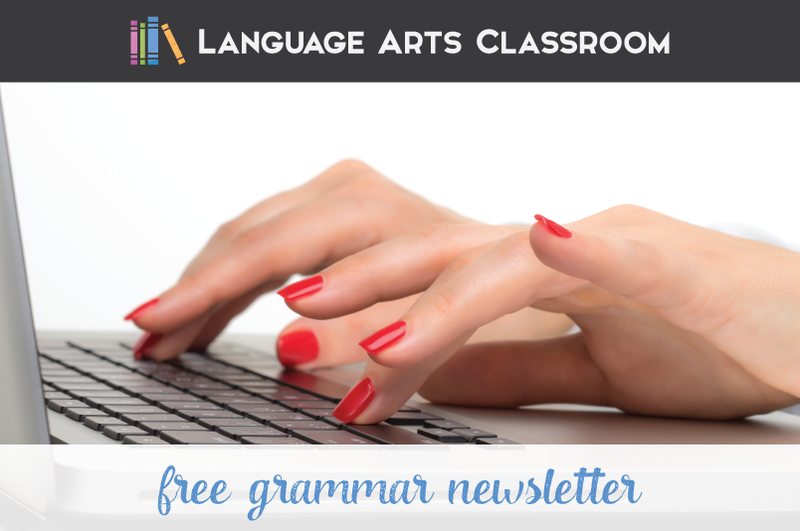 Want a free grammar activity for verbals? Sign-up below, and we’ll send it to you!